In Vocabulary at the Core, Amy Benjamin and John T. Crow assert that word study should play a more significant role in English class and across the curriculum — as emphasized by the Common Core State Standards. In this excerpt, Benjamin and Crow explain the difference between receptive control and productive control of words and why our students' receptive vocabulary remains considerably larger than their productive vocabulary. 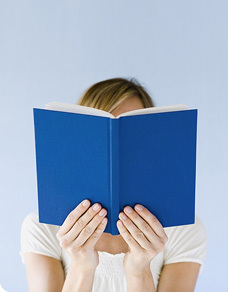 You are in receptive control of the words that you understand when you hear them or read them. You are in productive control of the words that you use to express yourself, in speech or in writing. Have you studied a foreign language? If so, are you better at reading or speaking it? People who have taken, let's say, a Spanish course or two, will normally tell you that they can read it a bit, but that they cannot speak it. If they have spent some time in a Spanish-speaking country, they will say they can read and understand the language better than they can speak or write it. This is, of course, to be expected: it is much easier to be in receptive control of a language than to be in productive control. If you've ever been around toddlers, you've noticed that they understand words and phrases way before they can say them: A fourteen-month-old child, for example, may respond to language like "Let's put on our shoes. It's time to go now" well before she is able to say things like this herself. Just as this child's receptive vocabulary is much larger than her productive vocabulary, our students' receptive vocabulary remains considerably larger than their productive vocabulary. In fact, virtually every literate adult has a much larger receptive vocabulary — including, of course, you. You know lots of words that, for a variety of reasons, you simply do not use when you speak or write. This difference in vocabularies is easy to understand. When you read or listen, the words have already been used in context; your primary job is to extract meaning from them. You are not required to know everything about a word in order to understand it fully. I (John) never use the word aplomb — I am not sure how to pronounce it. I also never use comprise because I can never seem to remember how sentences hang together with that word as the main verb. But if I see either word in a passage or if someone says either word to me, I'm fine. a. Pierre Gemayel was balderated in 2006.
b. The soldiers mamibered hundreds of men, women, and children. You have enough information to be in receptive control of these two "words," so you are able to understand the above sentences. If we give you the actual words (assassinate and massacre, respectively), you are able to tap into the fully specified information that you possess as a native speaker and use them correctly in sentences. In other words, you are now in productive control of these words. As we stated earlier, acquiring productive control over words is normally a gradual process. Bits and pieces are added to your body of knowledge about a new word as you are exposed to it in a variety of contexts and situations. Click here to read more articles from Book Nook. Started playing Words With Friends with my wife and she is doubling my score. How am I supposed to improve my vocabulary fast? It seems like you have to have a good productive control vocabulary to excel at this game. This book, "Vocabulary at the Core" is exactly what I've been needing! It addresses the very frustration I have been having with teaching vocabulary--that students are only learning their vocabulary words at a receptive level. Can't wait to read it in its entirety. Thanks! Thanks for the heads up on this book. Should be interesting!